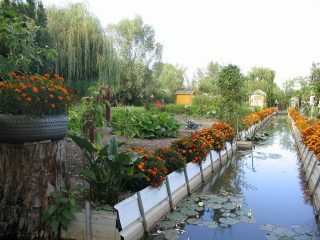 The allotment in the UK has its beginnings at the time of increasing industrialisation and population shift to urban environments. The notion of an allotment arose both from a desire to enable the urban working classes to feed themselves cheaply, and to keep the ‘idle poor’ from more socially destructive activities (in Victorian parlance “degeneracy”). 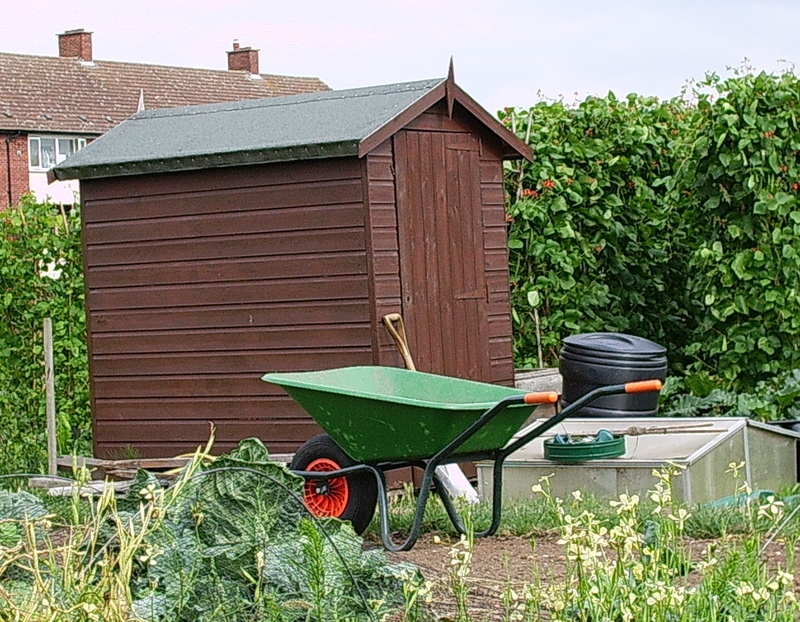 Both world wars acted to dramatically boost the number of allotment plots. In 1916, The Cultivation of Land Orders Act was passed. This gave local Councils legal obligation and powers to take over waste land and create allotments. By the end of the First World War, there were over one million plots throughout England and Wales. Winston Churchill’s famous ‘Dig for Victory’ campaign was a national high point for allotmenteering in the UK, with the number of plots rising to 1.5 million. As the British Isles were blockaded and many of its farm labourers were away fighting for King and Country, it was up to those at home to produce the food to feed the nation. When food rationing came to an end the allotment went through a phase of decline and neglect. Lifestyles were more affluent, and more oriented to commercialism and convenience. At the start of the twenty-first century allotment plot numbers were closer to 250,000. Recently there has been a reported upsurge in interest: concerns about diet, health and the environment have lead to greater interest in where our food comes from. The ‘make-up’ of the allotmenteer has changed also, with greater diversity in age, gender and ethnic background. Women are the fastest growing group of allotment holders, according to figures from the Allotments Regeneration Initiative. It seems the upsurge in interest is limited by capacity though. Even since the interwar years, there has been a pressure on land used, and consequently a demand to take back allotments for housing and other such developments (in Brighton & Hove for example, there is currently a proposal to build a park-and-ride car park on the allotments at Horsdean, Patcham). The Council’s obligation to provide land remains, which means providing land of a similar quality in a suitable location.